« Bid on a Quilt! Tape/ribbon bound quilted sketchbook, button closure and sketch paper signatures. 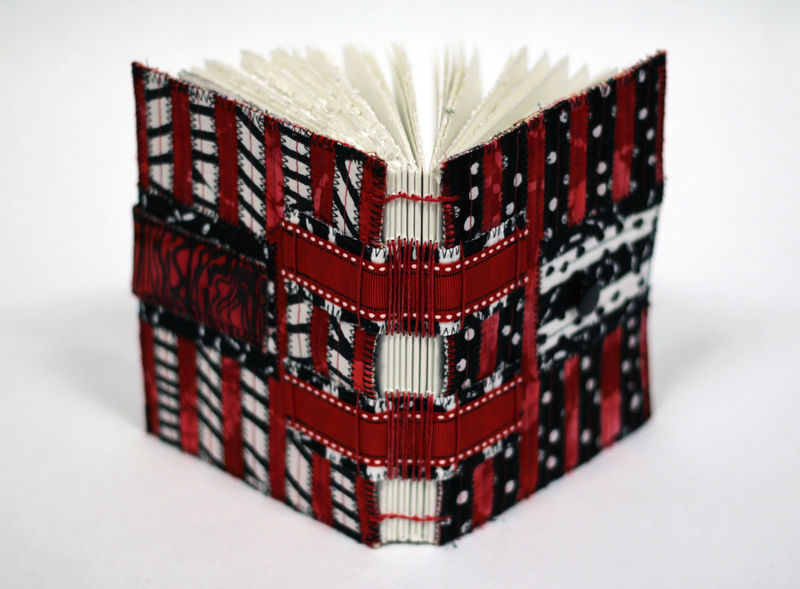 I just thought some images of some handmade books I’ve made recently were in order. 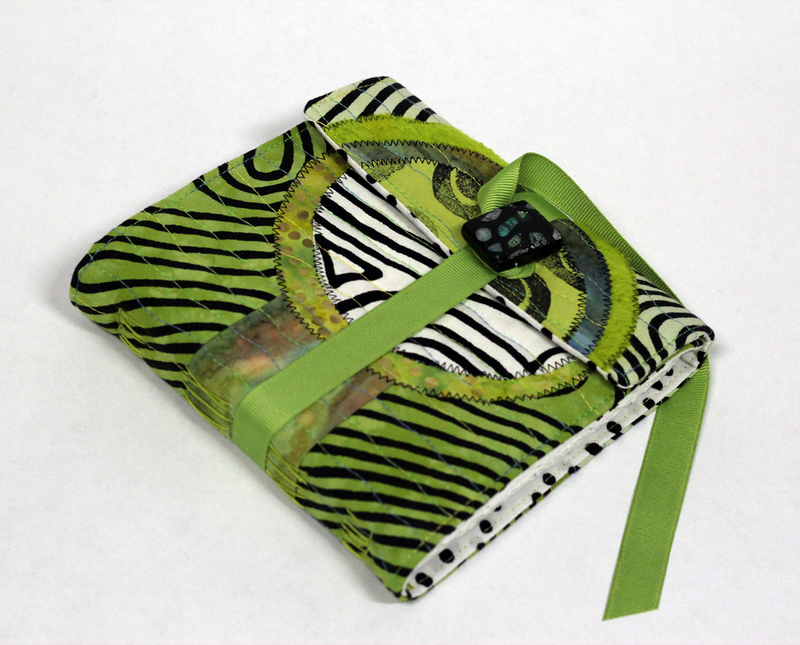 The bookmaking class that I am teaching at both the Long Beach and Houston quilt festivals this year (titled “Quilted Journal”) will feature techniques to make medieval long stitch bound books. 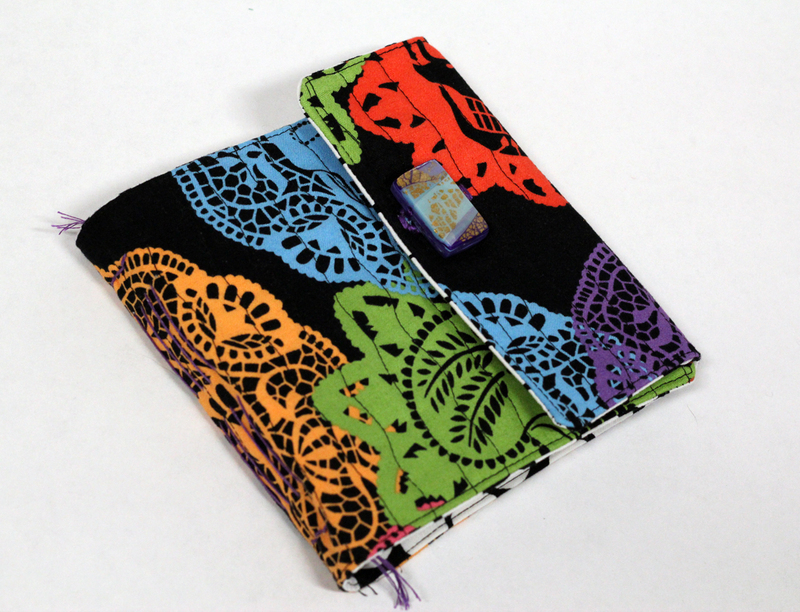 Sign up for classes through www.quilts.com – Enjoy! Medieval long stitch quilted book, overdyed fabric, dyed batting, ribbon tie, watercolor paper signatures, button gifted to me by artist Margaret Ball. 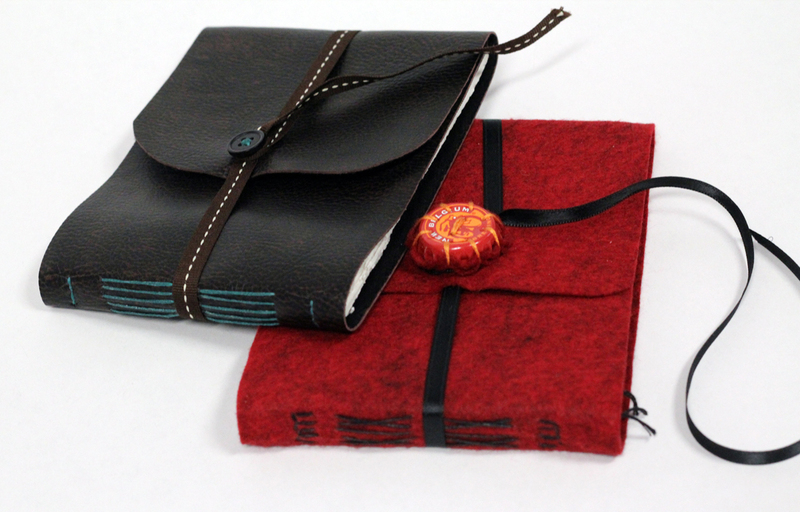 Medieval long stitch bound journals, pleather and felt covers, ribbon closures with button and bottle cap, sketchbook paper signatures. Medieval long stitch bound quilted journal, commercial fabrics, buttonhole closure with handmade button gifted to me by artist Margaret Ball, watercolor paper signatures. This entry was posted on Saturday, February 25th, 2012 at 4:50 pm	and is filed under Books. You can follow any responses to this entry through the RSS 2.0 feed. Both comments and pings are currently closed.